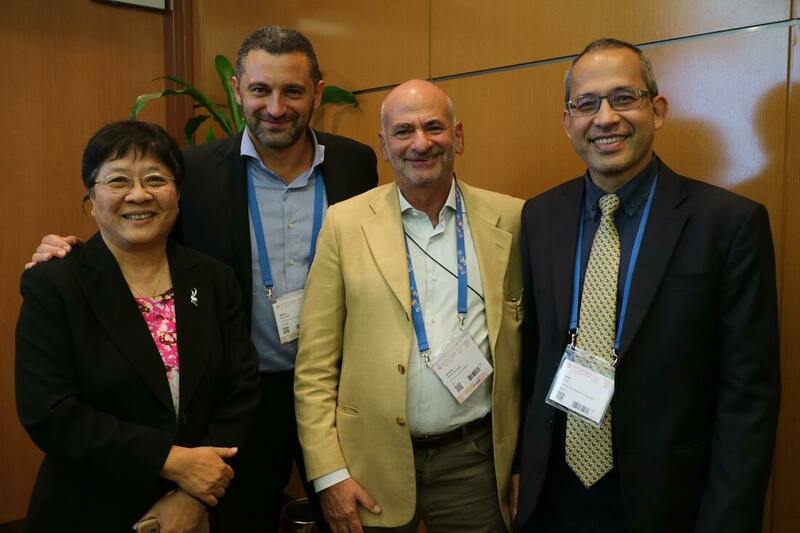 At World Cancer Congress 2018, one of the most relevant global events against cancer organized by UICC (Union for International Cancer Control), WorldConnex presented the latest milestones reached by ​WaidX. 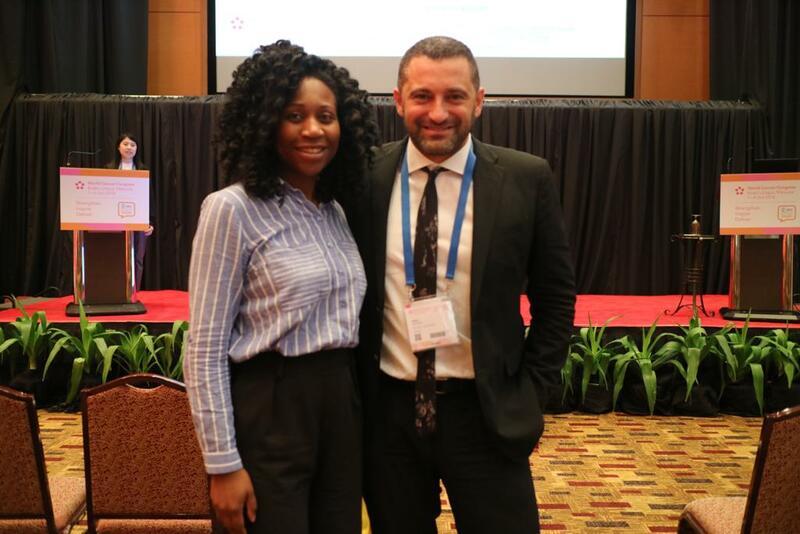 During the last WCC edition, held last October in Malaysia, WorldConnex and APOF NGO chaired a 90-minute session dedicated to two topics of cutting-edge innovation in Digital Health: Teleoncology and Telepathology. 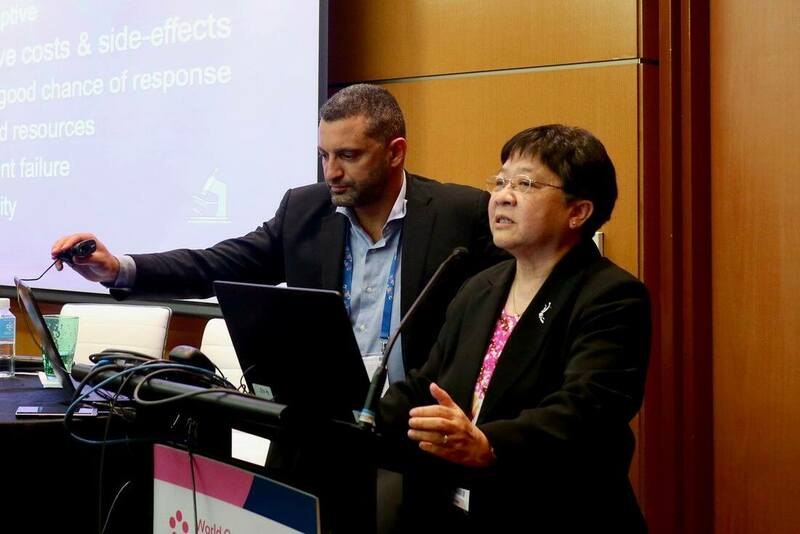 This session was aimed at illustrating the disruptive potential of the ECHO e-learning project and of remote oncology diagnostics in association with telepathology. After the presentations by the speakers from the involved organizations, we moved to the heart of the event: the discussion of a patient case via remote tumor board collecting different teams of medical oncologists and pathologists, spread over 4 continents (Malaysia, New York, Djibouti, Italy and San Marino). The session audience was very impressed by the powerful interaction gained by our telemedicine model, fueling an intense discussion during the final question time. One of the most astounding aspects which characterizes our approach is the integration in WaidX of cost-effective tools, specifically designed to enable the spread of healthcare in Low and Middle Income Countries that dramatically lack of expertise and resources. The commitment of WorldConnex in favour of the most modern diagnostics and treatment methods does not stop here. Within a WCC "rapid fire" session, the 3-minute presentations format, WorldConnex CEO showed the key points of the Teleradiotherapy project designed in partnership with the New York Presbyterian Hospital / Weill Cornell Medicine and the Armenian National Center of Oncology, in Yerevan. constant know how transfer among the staff, supporting the implementation of new technologies in the Armenian Radiation Oncology Department. The next step of the project concerns the generation of a specialized Medical Record system for sharing of clinical data, that serves as a departmental registry and a tool for future research use. Developing countries suffer a critical lack of medical pathologists, so their health systems cannot provide a good level of diagnosis for the whole population. World Health Organization declared the Oncology emergency, due to the increasing tumors incidence in Low and Middle Income Countries (LMIC). The Horn of Africa project, carried out in cooperation with APOF NGO and financed by 8 per Mille della Chiesa Valdese, with the aim of countering this trend, provided the right condition to define an innovative telepathology model based on WaidX, our telemedicine platform. WaidX is able to overcome the limitations due to digital divide by providing stable and secure communication channels (for health applications) even in the most prohibitive shortage of Internet bandwidth and IT resources. WaidX introduces new working strategies, allowing heath professionals remotely connected to provide training and teleconsultation to operators sited in LMIC. In the most challenging scenario, where the medical pathologist is not locally available, the platform acts like a “virtual pathologist” allowing the real-time diagnosis performed by remote on the slides prepared by the laboratory technicians. The success of this approach is proven by the first implementation of the Horn of Africa project. Thanks to APOF NGO, Balbala Hospital hosts the only Pathological Anatomy Department in Djibouti. WaidX turned this department in the first node of an international telepathology network aimed to involve different countries within the Horn of Africa, allowing cancer screening programs and diagnosis for the entire population. The next node implementation, already planned in the Pathological Anatomy Department of Hargeisa Group Hospital, in northern Somalia, will demonstrate that an interactive model among professionals resident in different countries can be implemented effectively. History teaches us that a good project does not necessarily arise in an impressive office, indeed. It is often the result of ideas arising from the impetus of the moment, or from a need, such as the resolution of a problem that is particularly significant for us. And the birth of WaidX® is not an exception. This ambitious project has distant origins, in Tanzania, and immediately sets an important goal: the reduction of the technological and knowledge gap in health and science fields. Thanks to the hard work of years, in 2016 WorldConnex is founded and in 2017 becomes a high-tech startup, incubate in San Marino Innovation. The successfull story of the start up WorldConnex speaks of human sensitivity that is linked to the most advanced technology, with the desire to provide useful basic services in the most hidden and forgotten parts of the planet. Because what Matteo Botteghi, a young scientific researcher at the Center for Medical Physics (UniBO) and the Experimental Pathology Group (UNIVPM), faces in 2011 during his first health mission in Africa at the Bugando Medical Center hospital in Mwanza, Tanzania, it has something incredible. The Bugando serves a population of 15 million people and there are no conditions to manage at best the nascent Department of Oncology nor there been the tools to communicate with health staff abroad. Any kind of telecommunications, even basic as a phone call, is unmanageable due to the poor quality of the connections and the operators are unable to pass the basic information to IRST, the linked cancer institute in Italy. The situation takes a new turn when, in that same trip, Botteghi installs a VoIP telephony device, connected via the Internet to the telephone service of which he is responsible in Italy, allowing to call in HD at no cost. It is a turning point for the health system in the Mwanza oncology department: easier communications and faster diagnosis, with a service used for the first time on the Tanzanian Internet connection. Thus the first core of the WaidX® project was born, a general-purpose telemedicine platform with a strong innovative character, aimed at reducing the technological and knowledge gap in health and science fields. In each development step the project has been implemented with particular attention to its impact on the activities of clinical doctors and researchers. The pilot project continues until 2015, when it was officially launched with a conference held in Mwanza. After a year invested to develop the network of personal relationships, Botteghi and its collaborator Alessandro Paradiso decided to found the start up WorldConnex to develop WaidX® and bring it to the market. In 2017 WaidX® establishes itself with applications in different parts of the world and the start up WorldConnex flows into the Techno Science Park Incubator San Marino Italia. Botteghi and his staff deploy three important pilot projects: a system of telepathology for the public health of Djibouti, a computerization and telemedicine project for a new 200-bed hospital in Ethiopia, and a third project aimed at tackling a an important challenge for TeleRadiotherapy involving the Presbyterian Hospital of New York and the National Center of Oncology in Armenia. But Botteghi believes that all this represents only the beginning and has already prepared the next goal for WaidX®: the development of a remote control protocol for the treatment planning process in Radiotherapy. ​WorldConnex takes part in the World Cancer Day with the launch of two important projects. This year alone, nearly 8 million people will die of cancer, and left unchecked, the number of deaths will increase to 13.2 million per year by 2030. There is an urgent need for action to raise awareness of the disease and to develop practical strategies to reduce the burden of cancer. With the recent adoption of the UN’s Sustainable Development Goals (SDGs), global health is entering a new era. Today, more than ever, a global commitment is needed to advance progress in the fight against cancer and non-communicable diseases (NCDs). World Cancer Day is the perfect opportunity to spread the word and create a global awareness of the disease in international media and global health and development programmes. How does WorldConnex contribute to the cause? At World Cancer Day 2018, WorldConnex participates with two important projects, made possible by WaidX®, the telematic platform destined to define new scenarios for telemedicine. In both cases, the main objective is to provide access to medical care and channels that allow the exchange of know-how between doctors and health personnel in real time. WaidX® TeleRadiotherapy Pilot Project for the remote connection of RT departments in US and Armenia. After the successful experience in supporting different fields of Oncology practice, WaidX takes on the challenge of bringing remotization in Radiotherapy activities. 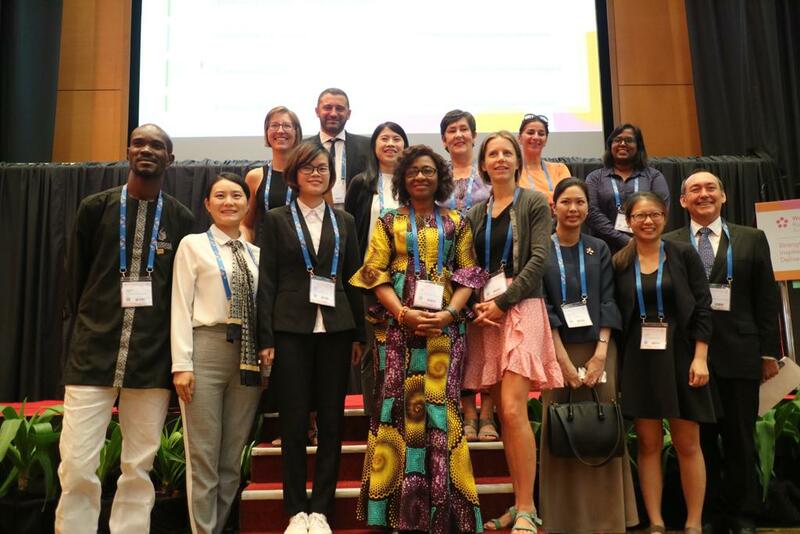 After its global survey, GTFRCC declared a lack of about 9,000 RT facilities worldwide, mainly in LMIC where the access to cancer care is limited by a number of factors. On 2017, WorldConnex was commissioned by Weill Cornell Medicine Department of Radiation Oncology to study an ad hoc system to establish a permanent connection with the homologous RT department within the Armenian National Centre of Oncology, in Yerevan. On the occasion of World Cancer Day 2018, this important project is officially launched. World Cancer Day 2018 marks the beginning of activities within “Horn of Africa” Project, where WaidX® supports the ambitious goal of APOF - Pathologists Beyond Borders, NGO - in creating a network of Pathology laboratories among different countries of the Horn of Africa. WaidX was created with the main goal of facilitate health practices wherever people suffers the impact of digital divide and information poverty and now, more then ever, new technologies give us the chance to make the difference for countries with inadequate healthcare facilities and a dramatic lack of experts in Oncology and Pathology.